If you are not already planning meals for your family, it is a wonderful thing to do and will help you to be organized when you go shopping. It will also help you to save money, and keep down stress since you have a meal plan for each day at home. 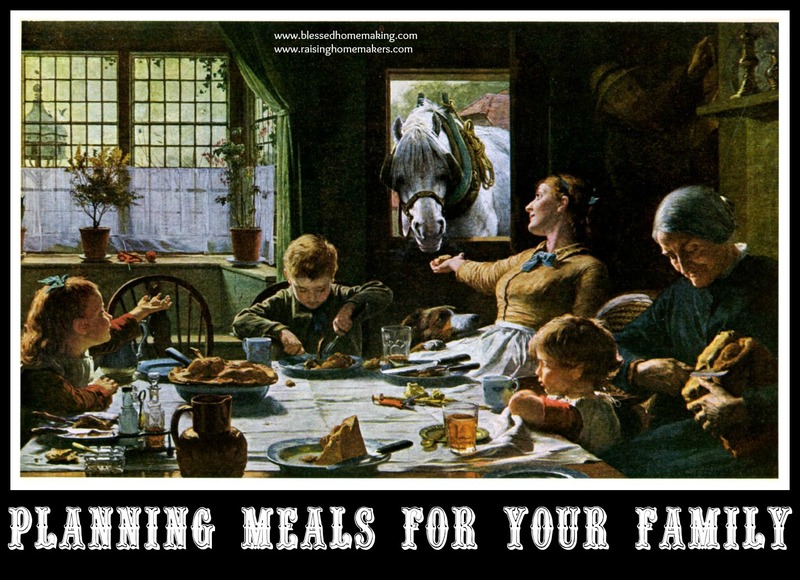 No more meal times where you don't know what you're going to serve your family! Today at Raising Homemakers, I am sharing with you how I plan our family's meals. Hello, planning meals was the best thing ever when all the kids were home. Now, I usually just fix what we are in the mood for! Like today there was fresh aspargus at the little market and it looked so good! That sounds fun, Roxy, and YES, I would LOVE to come over for dinner!